This book provides industrial facilities with comprehensive guidance on the development of storm water pollution prevention plans and identification of Best Management Practices (BMPs). It provides technical assistance and support to all facilities suibject to pollution prevention requirements established under National Pollutant Discharge Elimination System (NPDES) permits for storm water point discharge discharges. 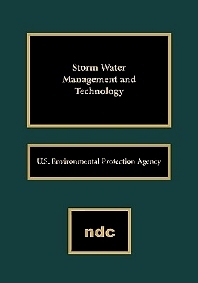 In addition to providing guidance for facilities that are subject to storm water permit requirements, this book contains information that is generally useful for controlling storm water problems. Guidelines and accompanying worksheets will walk the reader through the process. 2.1.1 Who Will Develop and Implement Your Plan?